We are only a few weeks away from the birth of our little boy – and yes we are super excited to meet him. In addition to meeting him, to not being pregnant anymore, to having a new baby at home and getting into a routine – we are REALLY looking forward to getting the debt snowball going again. As you know, we’ve been on hold, but once the baby is born and medical bills are paid – we will use the rest of the Crisis Fund to throw at debt. In the middle of this month, we did dip a little into the Crisis fund to purchase the last remaining necessities for the baby (like the car seat). At the same time, at the end of the month, we had a bit of extra income and gift money that we put toward the Crisis Fund. That being said, I’m guessing it will be at least August by the Numbers before we have exact figures and know what portion of the Crisis Fund is for medical expenses and what portion is for debt. Mostly, the timing will be based on when we get final bills from the hospital. 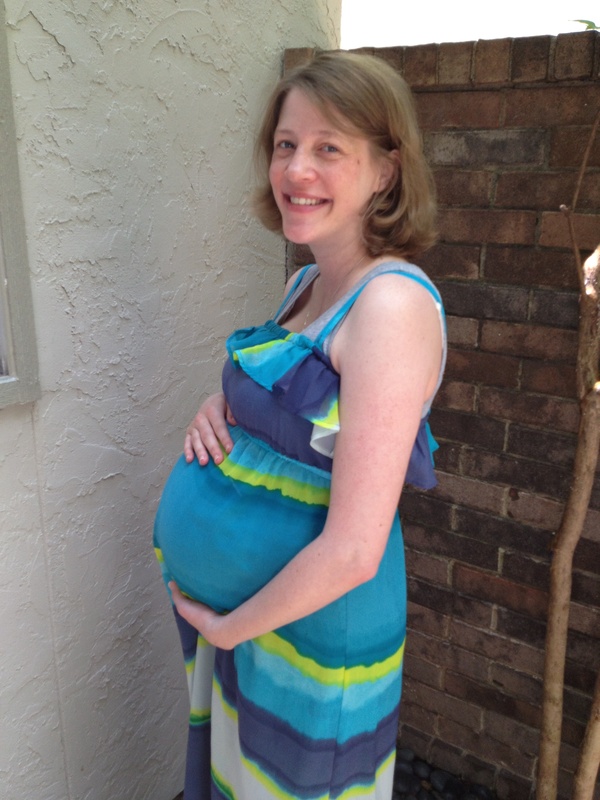 I’ll leave you with the following picture, me at 37 weeks. Officially full term.